Is your team spending hours and hours each week receiving, sorting and managing packages? There's a better way. That’s why we created Notifii Track, a cloud-based software solution designed to streamline your package management operations so that your staff is spending less time dealing with packages and more time managing everything else. No expensive locker systems. No complex integrations. Mobile-ready and up and running same day. Notifii Track is a cloud-based package tracking software for apartments, high-rise residential buildings, student housing communities, and corporate mailrooms. 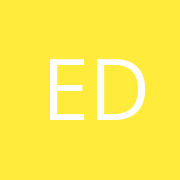 Quickly and easily log packages as you receive them. Automatically alert the recipient via email and text message. Capture signature proof-of-pickup/delivery. Use Notifii Track through your web browser, or on any iOS/Android device. Notifii Track saves you time and stress and increases package management visibility. If you’re like most mailroom managers, the massive increase in online shopping has left you and your staff with an endless pile of packages to log, sort, and manage each and every day. This is why we developed Notifii Track, the industry’s best package tracking and notification system specifically created for college residence halls and mailrooms. Quite simply, Notifii Track will reduce the time it takes to log packages and notify residents from minutes down to seconds. Our cloud-based solution makes it easy for anyone on your staff to manage all aspects of package tracking from arrival to pick-up, resident notifications, and everything in between. 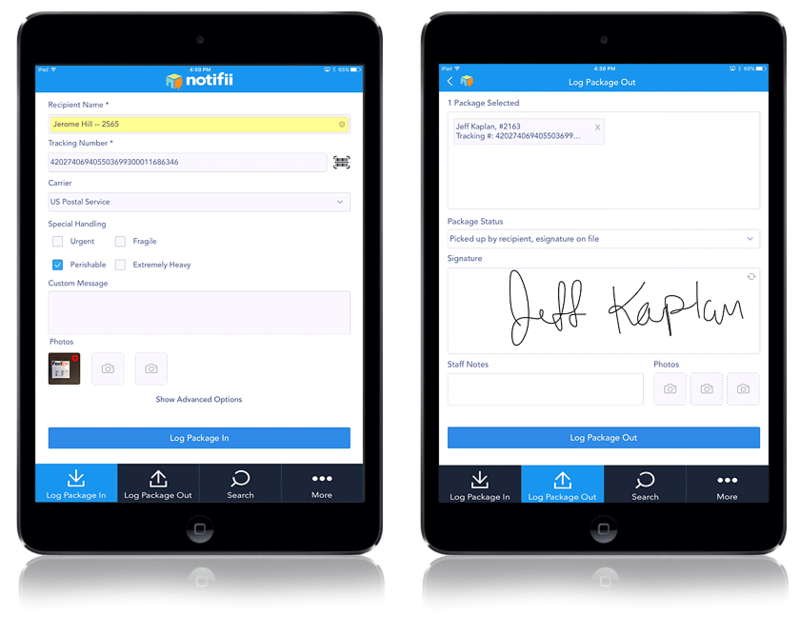 Notifii Track provides you with one connected experience that works cross-channel using any computer or iOS/Android tablet/smartphone. We support multiple concurrent users on multiple devices. Log packages with as much or as little details as you want. You can even take pictures of the package and capture an e-signature proof-of-pickup that is logged along with the package information. As you log packages in, our system automatically sends out email and text message notifications. If packages are not picked up, our system automatically sends out pickup reminders. The notifications can be fully customized. Easily search for a package by recipient name or tracking number. 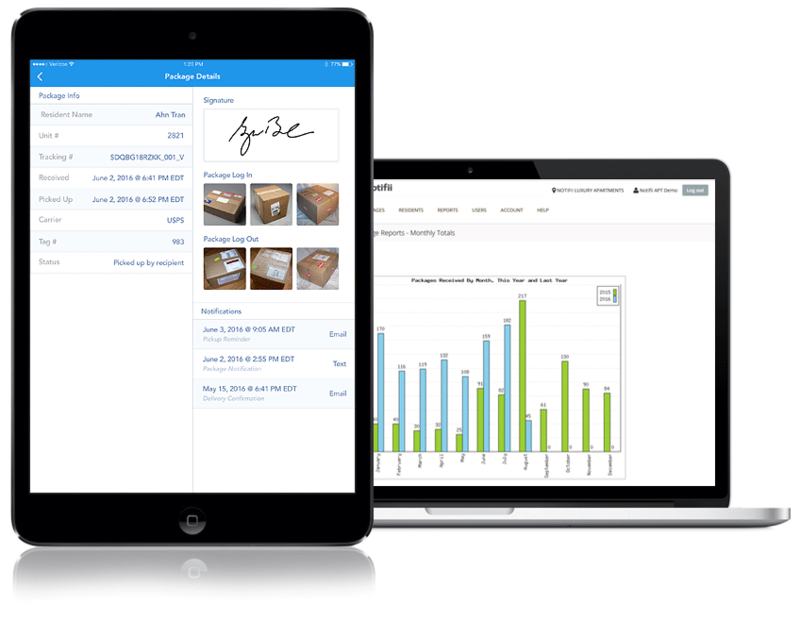 Generate reports such as daily package totals, monthly package totals, age of packages pending, speed of pickup, and more.